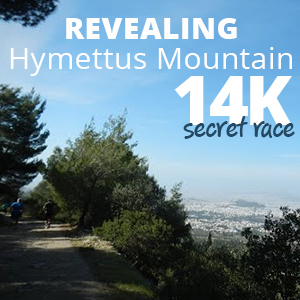 The “Evrytaneios Dromos” offers one of the most magical trail races, as runners will run through stone-made villages, first and plane trees and with a breathtaking view of the mountains of Evrytania and the Krikelliotis river. Whether you want to rest or go through a range of activities, and of course participate in this amazing race, Krikello is the best place. 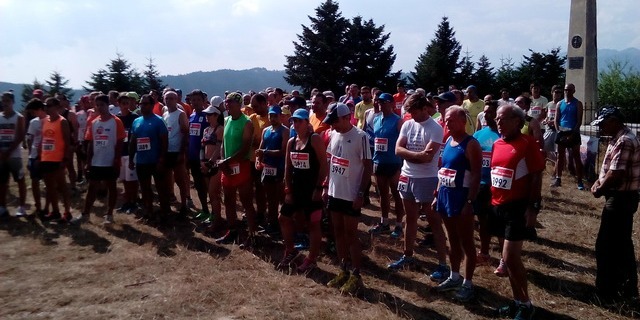 Welcome to the “Evrytaneios Dromos 2018” where runners will have the opportunity to run through firs and the endless green of the mountains of Evrytania. With reach history and countless beauties, this race offers athletes one of the most magical mountain trail races. We offer several options varying from short weekend breaks in Krikello including your entry to the race, to a full vacation plan in Krikello and the surrounding area! Moreover, we can offer you training plans, actual training in the streets and routes of Krikello and, of course, we will run with you! Registration is open until Tuesday, 10th of July 2018 or until a specific number of applications is reached. In any case all runners participate solely at their own risk. The organizers have no responsibility for whatever happens to the runners related to health issues or owing to lack of a preventive medical check. 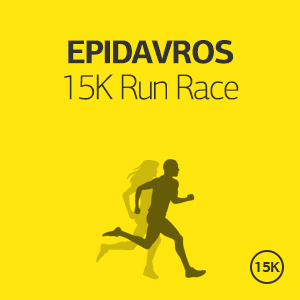 It is highly recommended that the participants undergo a thorough medical examination before entering the race. The organizers will not ask for medical certificates from any athlete (male and female) since they all participate at their own exclusive risk and responsibility (parents or guardians have liability for their children). We will also provide offers for a special health check-up for all runners, and members of their families. 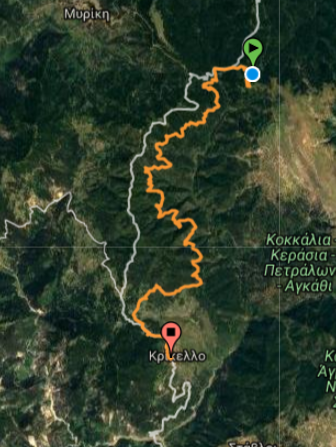 Course: The route starts from the memorial structure of Kokkalia, where the historical battle between the Aetolians and the Evritans against the Galatians took place, at 279 b.C. There the view of the mountains of Evrytania and especially of Velouhi is breathtaking. Running for about 400m on an asphalt road, we enter left sideways a dirt road, with a sign to “Krikkelo”. 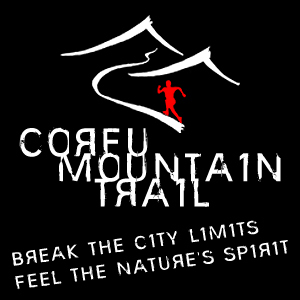 The route crosses an overgrown slope of Oxyas, with spectacular views of the surrounding mountains and Erythani nature. The road descends gently with short levels and uphill sections to arrive after about 18 km on the main asphalt road leading to Krikello. The 19.5 km trail races ends in the main square of Krikello Village. The awards giving ceremony will take place at the finish line of the race. All participants will receive a commemorative medal. Trophies will be given to the first three male and female runners of the race and to the first runner of each age group. A traditional revelry and an event will follow the ceremony. This offer is addressed to those who wish to come and stay in Krikkelo on their own. It includes all the logistics of the race entry, tips and advice for the specific race, training schedule depending on your personal targets and safekeeping of your belonging during the race. If you really want to feel like a champion, we are here to support you! This offer is ideal for those who want to experience Krikkelo the “running way”, and get the most out of their visit to Krikkelo. We have selected the ideal locations for you, and we will suggest you the ideal vacation plan. It starts from €130 per person (runner or not) for accommodation in a 4star or equivalent hotel. If you wish to stay longer in Krikkelo, you may add as many nights as you want for an additional €60 per night person. This offer is ideal for those who want to experience Evrytaneios Dromos, and get the most out of their visit to Krikkelo. We have selected the ideal locations for you, and we will suggest you the ideal vacation plan. It starts from €250 per person (runner or not) per for accommodation in a 4star or equivalent hotel. If you wish to stay longer in Krikkelo, you may add as many nights as you want for an additional €50 per night person. This offer is ideal for those who want to experience Evrytaneios Dromos , and get the most out of their visit to Krikkelo. We have selected the ideal locations for you, and we will suggest you the ideal vacation plan. It starts from €350 per person (runner or not) per for accommodation in a 4star or equivalent hotel. If you wish to stay longer in Krikkelo, you may add as many nights as you want for an additional €50 per night person. It starts from € 550 per person (runner or not) per for accommodation in a 4star or equivalent hotel. If you wish to stay longer in Krikkelo, you may add as many nights as you want for an additional €50 per night person. Please tell us all your requirements and preferences, how many days you want to spend in Athens and Krikkelo, what other places you wish to visit, activities that you would like to book, and we will come back with a tailor-made offer specifically for you! Krikello is a village in the prefecture of Evrytania perched at an altitude of 1120m. It is 30km away from Karpenisi and is situated in a privileged location among dense forests of ancient fir trees, dense fruit trees, rare aromatic plants and shady plane trees that grow alongside the rich waters of Krikelliotis River. The village consists of stone-built traditional houses, with enough local color and its charm compliments the main square with the plane trees, cafes and traditional taverns. Karpenisi is a town in central Greece. It is the capital of the regional unit of Evrytania. Karpenisi is situated in the valley of the river Karpenisiotis (Καρπενησιώτης), a tributary of the Megdovas, in the southern part of the Pindus Mountains. Mount Tymfristos (2,315 m elevation) lies directly to the north of the town, and the foothills of mount Kaliakouda are in the south. Karpenisi has a ski resort and is a popular destination, especially during winter. It is called Switzerland of Greece for the resemblance with the mountainous country and its beauty, atypical for a Mediterranean place. During summer is also a unique destination for visitors especially for nature, mountain and adventure lovers. It offers a variety of activities in a stunning landscape. Krikello is an ideal place to spend your vacation in the wider area of Evrytania, winter-summer. Here lovers of the natural landscape and the alternative forms of tourism find accommodation all year round. You can go horse riding, rafting, kayaking, and conduct other activities such as nature trails with a 4 × 4 jeep. - Meat appetizer (traditional mezes), sausages, Feta cheese, local soft cheese "tsalafouti/"/"katiki"
Επιλέξτε τον αριθμό των ατόμων που ταξιδεύουν. Επιλέξτε πόσα δωμάτια επιθυμείτε να κλείσετε. Συμμετέχω στον αγώνα με δική μου ευθύνη και έχω εξεταστεί πρόσφατα από ιατρό. Δεν έχω καμία απαίτηση από την οργανωτική επιτροπή σε περίπτωση ατυχήματος ή τραυματισμού μου κατά τη διάρκεια ή αμέσως μετά τον αγώνα. Συμφωνώ στην ελεύθερη χρήση φωτογραφιών μου από τον αγώνα σε διάφορα μέσα. Έχω διαβάσει και συμφωνώ με τους όρους κράτησης που αναφέρονται.